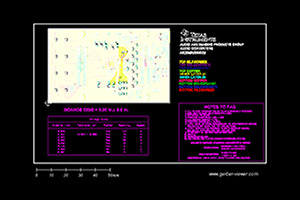 The TIDA-00548 design is an isolated dual-channel 4- to 20-mA analog input reference design, which can be used as a sub-part for functional safety programmable logic controllers (PLC). This reference design delivers digitized input values using a 32-bit high-performance analog-to-digital converter (ADC). The RM4x dual-core ARM® Cortex®-R4 based CPU with lockstep technology and built-in self-tests (BIST) compares the converted values of up to nine selectable analog input signal chain paths. The dual input approach with two separate burden resistors allows redundant measurement of either a single 4- to 20-mA loop or two independent loops. 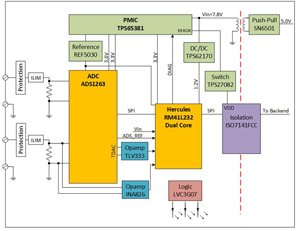 Hercules™ RM ARM Cortex-R based MCUs for functional safety applications (part of the SafeTI designs packages) help to develop systems according to IEC 61508 SIL 3.